Nature is important to Swoope, VA, and preserving the beauty that you can find in it is extremely important to Staunton Tree Service. We work with nature to provide you with the best possible tree care, from removing trees to helping you keep them healthy. We are all tree lovers: certified arborists who have been working for a long time in the industry. We have the knowledge, insurances, and know how to really take care of your trees. Use the form below to request a free estimate on your tree service needs in Swoope, VA.
As your trees get older, they are more susceptible to diseases, infestations, and other problems that might require them to come down. If you aren’t sure, we are more than happy to advise you on what to do. If you do need your trees removed, then we do it in a way that preserves the integrity of your yard, and may even allow you to use the wood or mulch from the tree over again. This creates a beauty system where the tree we have removed can help with the tree that you might plant. 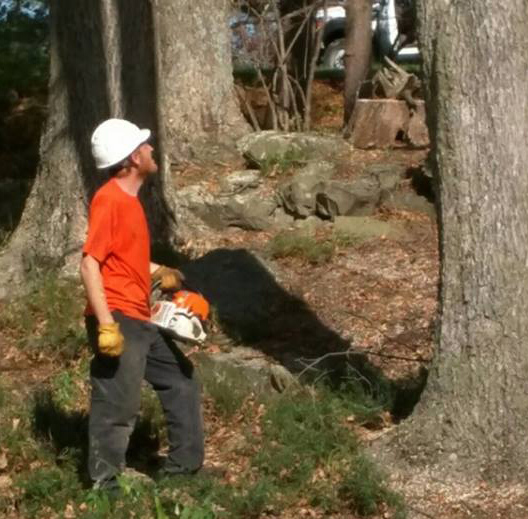 Safety is our number one concern when we take down your tree – safety for our team and safety for your property. We ensure that every move we make is carefully considered and planned out well in advance. Pruning and trimming your trees is another simple way to make them look and grow better – if you know what you’re doing. In order to get the most out of your trees, the trimming and pruning that you do has to be purposeful and with precision. Most people can’t do that on their own. At Staunton, we have the equipment and knowledge to trim and prune any kind of tree that you need – from fruit trees to exotic Japanese style trees. Give us a call, and we can trim your trees perfectly for you, especially in spring and fall. If you’ve had a tree removed, there is probably a stump of some sort leftover. That stump is more than just an eyesore – though it is certainly that. Stumps still contain the disease or infestation that killed the tree, and it can spread to the rest of your yard. Even worse, it can get a disease or infestation of its own that you might not notice as quickly. Our team can quickly and effectively rid your yard of the stump and that risk. Call us today for a free estimate. When you own a home or business, the health of your trees is your responsibility. If your trees get sick, you have to help them. If there is a problem brewing, you need to find a way to stop it. Tree health scans by Staunton helps to keep everything healthy. We look at everything to ensure that no part of your tree goes unstudied. If we don’t find anything, then we can just go on our merry way. If we do find something wrong, then we can work with you to try to fix the problem. Storms are a problem, especially for people who have a lot of trees. High winds, heavy snow, or a lot of ice can bring down your trees, cause branches to snap, and even create problems within the tree that need to be repaired. At Staunton, we have the tools and equipment needed to not only physically haul away things that may have fallen, but we can repair your trees and get them on the road to health. We have the tools and equipment needed to really make a difference in your yard and make clean up easy. There is a lot of beautiful nature in Swoope, and at Staunton Tree Service, we really want to help you keep that beauty. Our goal is to not only provide you with high quality tree service, but to give you economic options as well.